Welcome LEE REED to the Strange Famous family! 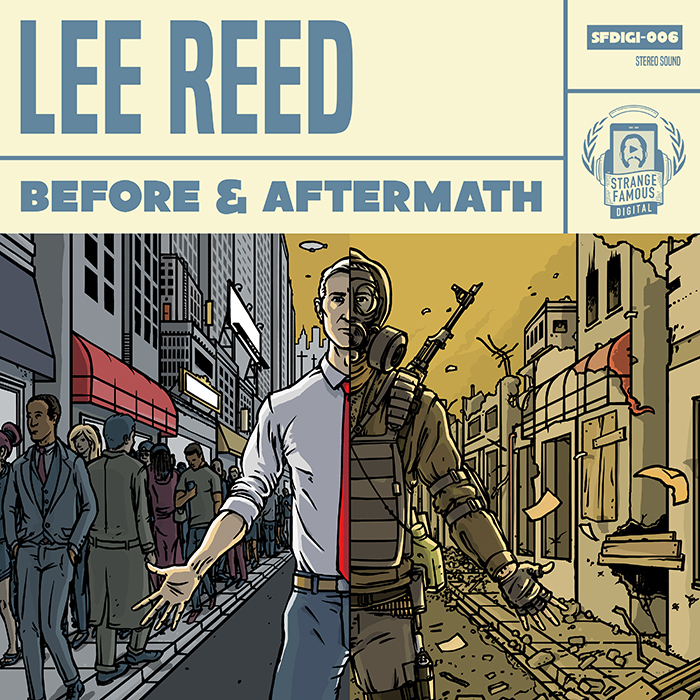 His SFdigi debut, “Before & Aftermath”, drops October 19 on Digital Download – available at SFRstore, Bandcamp, iTunes, Amazon, Google Play, and on all streaming sites (including Spotify, Apple Music, YouTube Music, and Tidal)! A limited edition 7-Inch Lathe Cut Record of the first single “Get Mad” b/w “Kontrol” (including an Instant MP3 Download of the FULL ALBUM) is available to pre-order from SFRstore here. Limited edition 7-Inch Lathe Cut Records (including Instant MP3 Download) & Digital Downloads are available at StrangeFamous.com here. Album cover by Pat Jensen.